It's often said that brewing is where art meets science. So the latest venture from Cavalier must be where art meets science meets art. 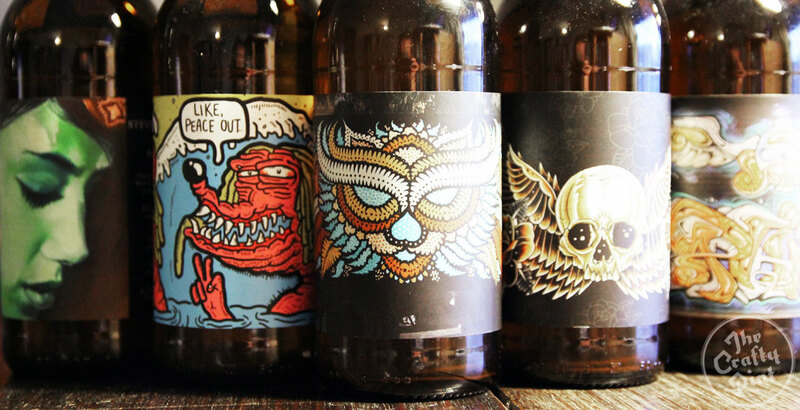 Inspired by the Hand Crafted events it has run at beer weeks across the country, the Melbourne brewery has launched the Art Series Beer Labels: packaging its blonde ale with labels featuring artwork from local Australian street artists. The first series is out now with 22 different pieces of art adorning bottles, which come with the artists' names and a QR code that takes drinkers to their website to find out more or purchase art from them. It's a logical progression from the Hand Crafted events that have featured at Good Beer Week (Melbourne) Brewsvegas (Brisbane) and Sydney Craft Beer Week and see Cavalier pouring beers as live art is created, handcrafted clothing and artwork is bought and bodies are tattooed. And it's a logical progression for the man driving it, Cavalier marketing manager Heath Shirtcliffe, himself a graffiti artist for 20 years and member of Melbourne's SB Crew . 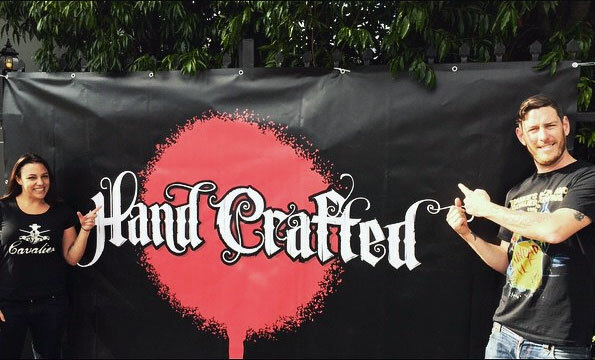 "Hand Crafted is all about bringing handcrafted art forms together and promoting local artists in each state," says Heath (pictured below right outside the Good Beer Week Hand Crafted event). "All of the artists on the labels are ones that attended our Hand Crafted events; some are famous street artists like Phibs, Dvate, Askem, Drapl, Steve Cross, Nico and Kirpy. "They look amazing on the shelf." Having tested the water with the first round of Hand Crafted events, the intention now is to go "really big: shitloads of artists, a huge wall of people doing graffiti, a lot of local artists, oil paintings, performance artists, DJs, and shitloads of handcrafted beer," says Heath. Liss Risstrom (pictured on the left), who runs the events with Heath, adds: "It's good exposure for the artists. It's not about making money; it's about throwing a good party and everyone having a good time. "And it's about getting craft beer out through a different avenue, reaching a market that might not otherwise be exposed to it." While the Art Series sees the same beer appear under different skins, another new venture from Cavalier sees them releasing very different beers under pretty much the same label (see below). Up until recently, most of their limited release beers have only been available in draught form but now they're bottling them too. The first three to appear – all collaborations – were a Cherry Sour with the Great Northern Hotel, a Belgian IPA with Brisbane's Burrow and a Baltic Porter brewed with The Palace Hotel for May's Hand Crafted event. Joining them this week is number four, a Doppelbock created in cahoots with their Queensland distributor Calibre. "We're doing a lot of collaborative beers because it's fun," says Heath. "We get to work with our really good customers and they get to put a beer on at their venue that they've brewed at the brewery. "We get together with them and ask if there's a certain beer they've always wanted to make or something they want to tie into an event." The intention is that these will remain single batches, with the small amount of bottles being shared between venues (mainly in Victoria, New South Wales and Queensland) and some online beer clubs. 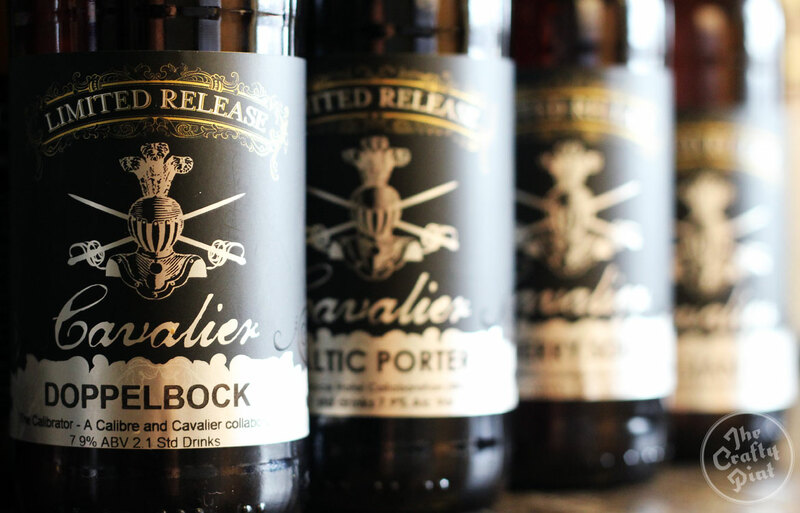 The Cavalier team, which operates a "communal brewery" in Melbourne's west used by a wide range of brewing companies including Exit Brewing, Killer Sprocket and Wolf of the Willows, is also set to build its first brewery for another brewer. Bad Shepherd brewpub will open in Melbourne's southeast towards the end of the year. It's the brainchild of champion home brewer Dereck Hales and partner Diti and will also become the place where Wolf of the Willows does its brewing. "We've brought in tanks for people [in the past] but this is our first full install [for another brewery]," says Heath. 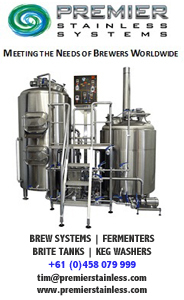 "We did a full install of our own brewery and have since upgraded it [and now] have designed the whole brewery for them." The intention is to develop this into a separate part of the business, helping brewing companies plan, design, buy, build and commission their breweries. Despite all the above – and the evolving roster of brewers they welcome through the Cavalier brewery in Sunshine – it looks like Heath hopes to add himself to the lineup at future Hand Crafted events. "I'm an artist and I miss painting and drawing," he says. "I've just got a whole bunch of massive boards and plan to do a lot of graffiti art and want to go back to street painting again – start hitting some walls." Possibly in time for the next event, details of which we expect to have in the coming weeks. You can keep tabs with all things Hand Crafted via Facebook.